Home » Posts Tagged "junk car removal queens"
The Thanksgiving rush is over, which means the rest of the winter holidays are approaching quickly. The holidays can be a stressful time, because it’s expensive to buy meaningful gifts for your family. If you’re like most people, the thought of a disappointing holiday season can be difficult, but it doesn’t have to be that way. If you’re looking for a fast, easy way to provide the very best possible holiday for your family and children, consider selling that old, junk car you have lying around. Often, people scramble to purchase gifts, without realizing the goldmine they have cluttering their garage, lawn or street. Junk cars provide a valuable source of income, with minimal effort on your part, and when you contact JunkYourCarQueens.com, we’ll take care of everything, simply leaving you with cash that you can use to create the holiday season you’ve always dreamed of. Imagine the faces of your family and children as they open the gifts they’ve always wanted—and think of how great you’ll feel, knowing you purchased them just by getting rid of an old car that was cluttering your lawn. New York City Auto Salvage and Glass is home to three locations to serving all of New York City. 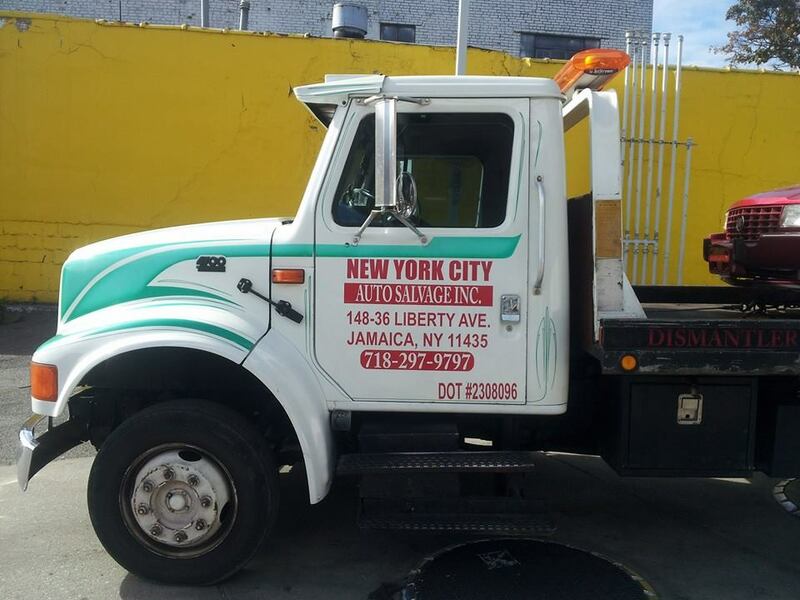 If you’re looking to Junk Your Car in Queens or any other of the 5 boroughs, call to schedule an estimate, inspection or pickup. Even if you don’t have the paperwork, we can help get you cash quickly and easily, if your vehicle is more than eight years old. Contact New York City Auto Salvage and Glass at 718-297-9797 today to get the cash you need for your car and help you fund your holiday spending nest egg. Don’t forget to like New York City Auto Salvage and Glass on Facebook and follow us on Twitter for company updates, special offers and information. 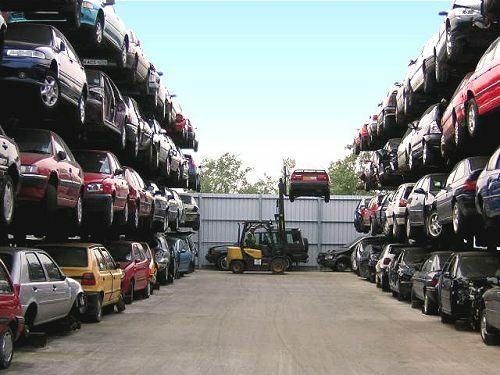 How Much is Your Junk Car in Queens Worth? If you’ve got a junk car laying around Queens, you’ve probably considered selling it to a salvage yard. After all, clunkers don’t do owners any good and they tend to make neighbors irate after sitting in the same spot for a while. In order to get top dollar for your clunker, it’s important to get quotes from several providers and to understand salvage rating systems. Clunkers are rated on their condition and the price reflects the vehicle’s overall score. If the car is completely immobile and the motor just won’t turn over, you will most likely be offered a fair but base price. If the car’s motor turns over but won’t start, the price will be a little better. Cars that are completely dead are basically stripped of anything good and the remains are recycled. Cars that run, even if they are rough, garner good prices because they can be restored by New York City Auto Salvage and Glass and resold at used car lots. Classic cars and rare vehicles garner even better prices! 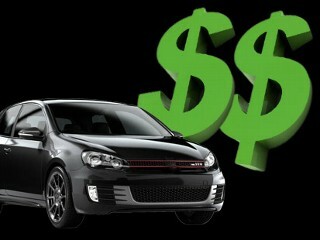 The most important factor for selling junk cars for a great price is the condition of the engine. Engine repairs that are easy to make, inexpensive and quick should be made before we get the vehicle if you want the highest price. However, we are happy to tow away cars that won’t run and give you top dollar paid in cash. Contact NYC Auto Salvage and Glass at 718-297-9797 to find the cheap used auto parts you need to repair your car. Junk your car in Queens for top dollar paid in cash. Schedule a pickup today. Don’t forget to like us on Facebook and follow us on Twitter for exclusive deals and news! School is coming and parents across the city are rejoicing. Lists are coming in from schools and it’s time to buy supplies. Unfortunately, those supplies won’t buy themselves and sending your kid to school empty handed is not an option. It’s time to make money wherever you can. One quick and easy way to get money fast is to junk your car in Queens. New York City Auto Salvage and Glass is Queens best resource for selling clunkers for top dollar paid. Selling your junk vehicles is as easy as pie. If your clunker is eight years old or older, you can give us a call and we’ll take it off your hands. You will get cash on the barrelhead as well as free junk car removal services. New York salvage yards don’t need your title or registration to purchase your clunker. All we need is a copy of your state issued identification. Is your car in running condition? That’s fine too! We can give you a no-obligation quote. We even have the hook ups to sell your vehicles when they’re in good working order or better! The best part? We give you fair prices with no hassles and you don’t have to wait to get paid. Contact NYC Auto Salvage and Glass at 718-297-9797 today to get the cash you need for your car and start knocking out those school supply lists. Don’t forget to like us on Facebook and follow us on Twitter!